When it comes to pastries, we aren’t messing around. Whether you are looking for something rich and decadent or light and airy, we have the perfect treat to cure your sweet tooth. 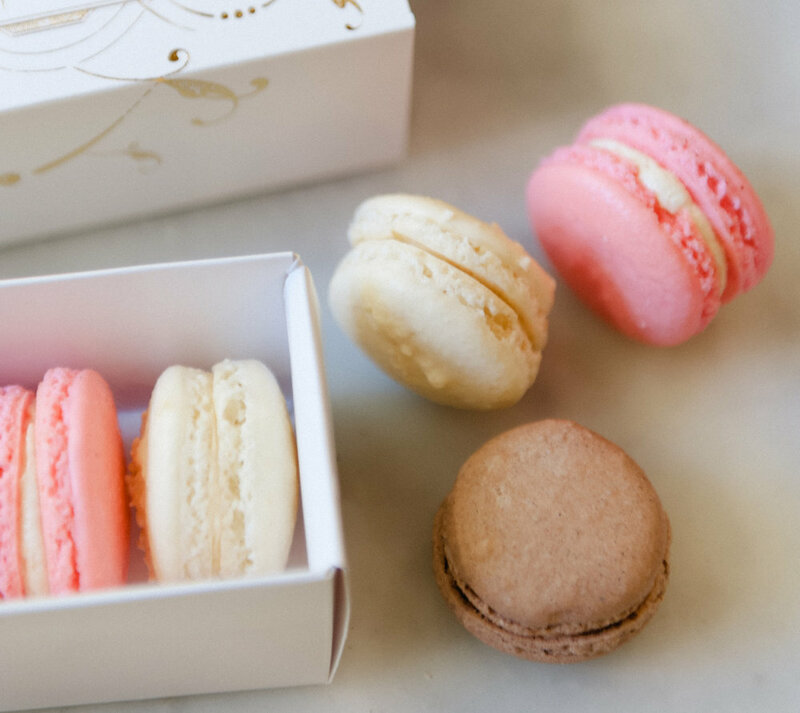 From Chef Toni’s signature macarons and French croissants to delicate cream puffs and petit fours, our Parisian-style desserts sure to delight. Buttery shortbread cookies or fudgy brownies pair perfectly with an afternoon latte or complement any celebration. Only the finest, natural ingredients are used in our kitchen daily, bringing you the best of the best. 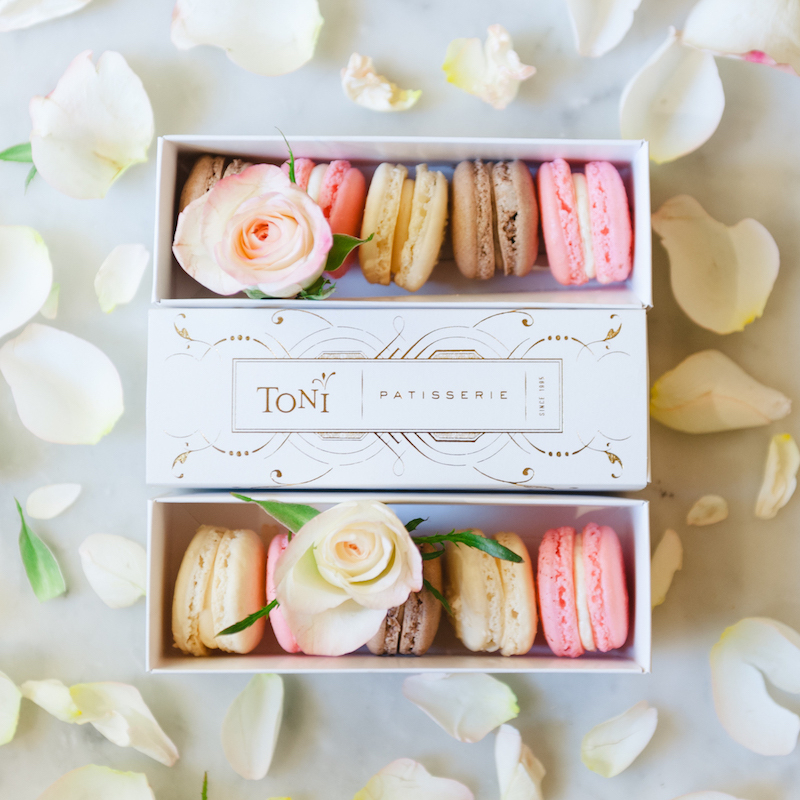 Inspired by the traditional classics and modern sense of high style, Toni pastries are delicate, decadent, delicious, and display like rare jewels. A classic favorite, Toni cookies are made from scratch. They are perfect for a sweet bite, yet elegant enough for a party tray or event. Whatever the spirit of your event or mood, Toni can work with you to make your sweet selections express your tenor and style. With our expertise, professional technique, and sense of fashion we can do traditional or custom work to suit your needs. All cookies are made from scratch and are hand-decorated allowing us to fully customize to any design. We have a wide variety of cookie cutter shapes and sizes to choose from. On some occasions we’ve even had guests bring in their own cutters for that specific look. While we have chosen some of our favorite trays on our Catering Menu, you can customize a tray by choosing from a selection of our above Signature Pastries and Cookies . Our trained staff can advise you on the appropriate portions and combinations depending on the look and feel of your event. Packaging is a simple way to customize your cookies and pastries. We are happy to wrap your treats in clear bags and boxes in different shapes with colorful ribbon depending on your needs. Custom pastries make for elegant, personal gifts and favors.